Potato is the most popular vegetable available and everyone’s favorite quick to make food. These are rich in fiber and protein, delicious to taste and a crunchy snacks to be taken in your day to day meals. They act as an excellent tonic for your health and are easily available in all over the world. Comparatively to other vegetables and foods available they are much cheaper. Potato is useful for curing many common diseases and is used widely in numerous home remedies. Let’s see some of the amazing health benefits of Potatoes here on this page. The study was done for eating potatoes prepared without oil and the research has proven that eating potatoes for once or twice a day can reduce high blood pressure. One medium-sized potato contains half of the daily recommended intake of vitamin C. It is also rich in vitamins B1, B6 and B3 along with other minerals such as phosphorous, potassium and magnesium. This medium size potato adds only 150 calories to your diet. The peel of potato in particular has been noted to be very effective in protecting liver from chemical damage in studies. Eating potatoes with its peel intact can be really helpful for liver. Potato can also be used for skin protection. 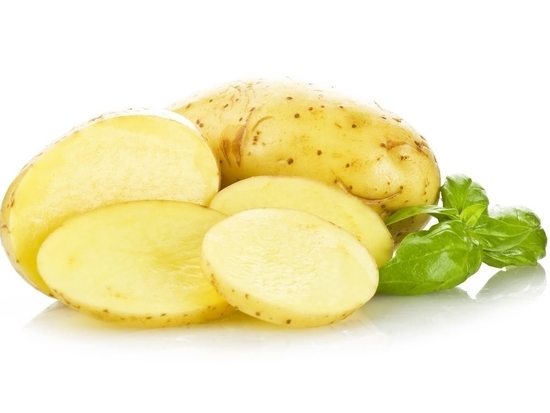 Vitamin C, starch and the enzymes present in potato are helpful in nourishing the skin tissue. The benefits of potatoes for babies include improvement in gastrointestinal health, liver protection, antiviral properties, skin protection and healing of skin burns. Potatoes Good or Bad for the Health? Potatoes are indigenous to Peru, where they have been cultivated by the Inca Indians since around 200 B.C. Although the general concept for potatoes which is there among us is that it increases fat and weight if taken on regular basis. But, there are few research that demonstrates that people can incorporate potatoes into their diet and still lose weight. So its, a mix percentage whether potatoes are good to health or bad. Eating mashed Potatoes are better for the health. Whether potatoes are good or bad for your weight depends upon the way they are cooked. For example, potatoes cooked as a whole and consumed when cooled can be bad while those cooked and eaten mashed are much better. Eating Fries and Chips regularly are Bad for the Health. Potatoes when used to make fast foods such as chips and fries can certainly prove to be dangerous for your waistline. But if you continue to use them baked without frying them in oil, you will be adding complex carbohydrates to your diet that will keep you full for longer without adding any extra calories. Are you looking to put on some serious muscle mass and health. Then start eating foods rich in good carbohydrates, fat and protein in your diet. Boiled potatoes are great for a bodybuilder, however it depends on the time you eat them. With no fat or cholesterol and only 2 grams of protein, potatoes are mainly used for calories and carbohydrates. One potato provides 110 calories along with significant amounts of carbohydrates to meet the macro nutrient requirements. The carbohydrates in potatoes provide an essential energy source and nutrients for recovery for a bodybuilder and people who do lots of workout. White potatoes are regarded as complex carbohydrates, which means that generally they should be good. However, they have high glycemic index, higher even than the sugar and white bread. In other words they can cause a significant spike of your insulin, which is a storage hormone. If you manipulate it wisely you can achieve great results. In Potatoes, micro nutrients such as vitamins and minerals support healthy body functions and helps to improve the ability to develop muscle mass. Potatoes are again a good source of different minerals and vitamins including thiamine, niacin and magnesium and a significant amount of vitamin C, vitamin B-6 and potassium. The iron, phosphorous, calcium, magnesium, and zinc in potatoes all contribute to the building and maintenance of bone structure and strength.